Barry Ross is an international investigator. Technically he does not wok for any organization though if you asked him he would undoubtedly say that Aunt Kelly was an organization in her own right and no Director, Chairman, Secretary, Minister, or CEO could be a harder task master than Aunt Kelly. And when one is a rich as Kelly and as determined to make a difference in the world that gave her so much as she is, one becomes a force able to take its place with all the government agencies and bureaus and departments. Not that Ross minds in the least. Besides have tremendous love for the aunt who took him in when his parents disappeared in China when Ross was twelve, he has as great an affinity for excitement and danger as anyone. This is important because from his teen years he was honed by Kelly's persistance and tenacity to be the mobile arm of her will and go whereever in the world she saw bad people doing bad things, especially to the environment and the downtrodden. In one adventure, a dear friend of Kelly referred to her as being beyond filthy rich and into the super rich category and that certainly was true but where many would use that wealth to enjoy life at all costs, she used it to be a force for good to make the world better for her having lived in it. Barry Ross was the man she sent on her behalf. Likely in his early to mid 30s at the time of the first recorded adventure, Ross has definitely trained for the job he now does. He studied at the best schools, finishing at the Sorbonne with honors. His aunt's influence got him acceptance at the FBI training facility where he was instructed in all manners of investigation as well as the ways to stay alive when so many wanted otherwise. She made him work for a spell, likely a couple of years, at an internship with the United Nations becoming intimately aware how things got done or, more commonly, failed to get done. Then when she was certain he was ready, she brought him home and gave him his first set of orders. He survived those and the ones that came after but sometimes just barely and sometimes with extreme luck but each survival made him even better at his job. The tasks he performs for Aunt Kelly takes him to all parts of the world and pits him against a wide assortment of people not happy with his interference. Terrorists, criminals, government officials on the take, and others would very much like to stop the meddling Kelly is doing but since they cannot get to her, they go after her representative, Ross. Despite all his dangerous pursuits, Ross does prove on occasion that he is not all work and no play. He enjoys a good meal, a good drink, and the company of beautiful ladies. He also muses on more than one occasion that whenever he relaxes too much, trouble steps in to make him up again. Barry Ross had just wrapped up a conference in Brazil when he takes r&r in a trip up the Orteguaza River along with colleagues. 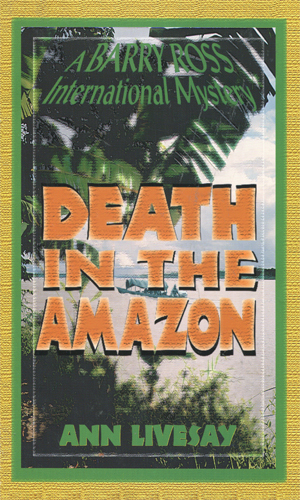 It is not long before murder strikes and the more Ross digs into it, the more clues point to an attack on a Columnbian air base. 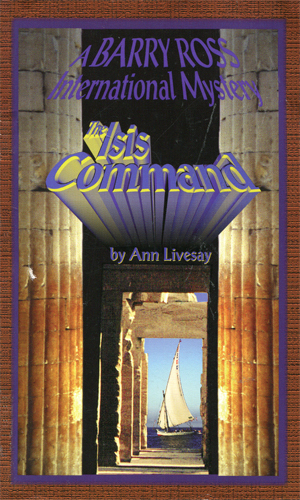 In Egypt to help fight those robbing ancient tombs, Barry Ross learns his two assistants have been captured by terrorists and tied them to explosives on a boat headed towards an aircraft carrier. The madman is convince that Buddhism is a heathen religion needing to be destroyed and he is the one to do it. 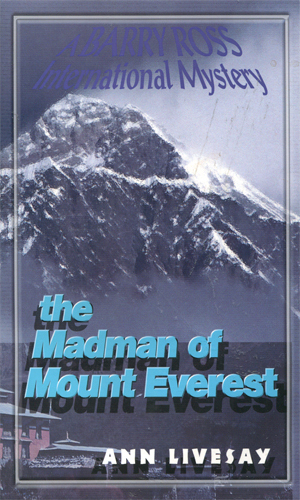 Barry Ross follows a particularly bloody murder trail along the Himalayas hunting the one responsible. A major leader in the UN's environmental projects insists on a rafting trip through the Grand Canyon despite threats on his life. It is Barry Ross' job to go with him and keep him alive. 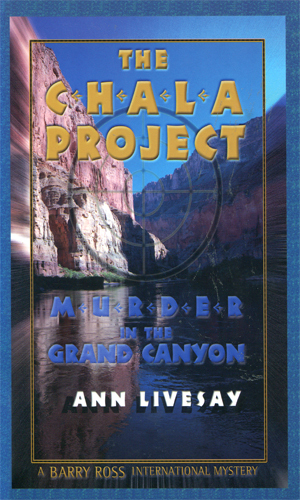 Put three things together as the author has, international intrigue, pretty interesting mysteries, and fantastic locales beautifully described, you have some fun reading. Fun and well worth the time. Barry Ross is a very interesting man. He will face incredible dangers and survive. He will defend the down-trodden and the endangered and he will succeed. He will face his Aunt and he will, well, he will do whatever she says. This is nothing against him and his backbone or his machismo. It is his Aunt. Do not cross her. The author of these books knows a thing or three about the regions where they take place. She and her husband have been there, sometimes more than once, and what they do not remember, they have in photos. She knows these areas and she helps you know them with prose that is never heavy but still is informative. I do not think I would ever have travelled the deserts or the Grand Canyon like Barry Ross does. Luckily, I can join him from the safety of my recliner.